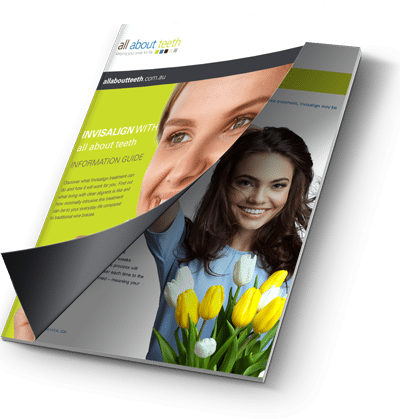 Home Blog What is Invisalign? Invisalign is an almost invisible and hygienic orthodontic treatment that uses an unconventional approach to effectively straighten teeth. Invisalign uses a series of tailor-made, removable aligners created for you and only you. These aligner trays are made of an almost invisible plastic that you wear over your teeth that will gradually move your teeth to an ideal position. Many of our potential Invisalign patients express the reason they have been reluctant to have orthodontic treatment completed is that they don’t want to wear the traditional metal braces. Most people won’t even notice you’re wearing the clear, removable trays allowing you to keep your daily routine during treatment. All About Teeth in Townsville are Invisalign providers and can help patients of all ages get the straighter smile they desire, without wearing traditional dental braces. Like other teeth straightening options, Invisalign has several other specific advantages to the treatment. Virtually invisible– The individual trays are a clear plastic which is almost invisible when worn on your teeth, giving a clear alternative to braces. Comfortable– Invisalign has no metal brackets to irritate the inside of your mouth and gums, the trays are tailored to fit each individual patient which makes them a more comfortable fit. Oral hygiene– Invisalign aligners are removable, this is ideal to maintain good oral health as it is easier to clean your teeth and trays thoroughly. Can reduce orthodontist visits– Many patients have found Invisalign treatment requires fewer orthodontist visits than other types of teeth straightening treatments. Visual progress movement– Invisalign treatment is designed to move your teeth in a series of stages. This allows a patient to visualise each stage of the process, from the beginning of the treatment to the end. Some patients can require additional treatment steps like a refinement to complete the treatment. Treatment length will depend on your specific needs as each individual requires a different tailored treatment plan. Invisalign treatment length for teenagers may vary. The average treatment for an adult can range from 3 to 24 months. Your estimated time and therapy needed will be determined by your Townsville orthodontic specialist at your free consultation. How often do I need to see my orthodontist for Invisalign? Invisalign patients generally have fewer treatment appointments than traditional orthodontic patients. This is because Invisalign patients take the tailored treatment trays home with them each assessment. Our Townsville Invisalign providers only need to see a patient every 6 to 8 weeks (depending on the individual) to ensure your treatment is progressing, as it should. The cost of Invisalign varies depending on the complexity of your case and course of treatment. Our experienced team at All About Teeth in Townsville can help determine a more accurate cost estimate of your treatment. To find out more about Invisalign, or to see all the products All About Teeth Townsville offer, contact us today.